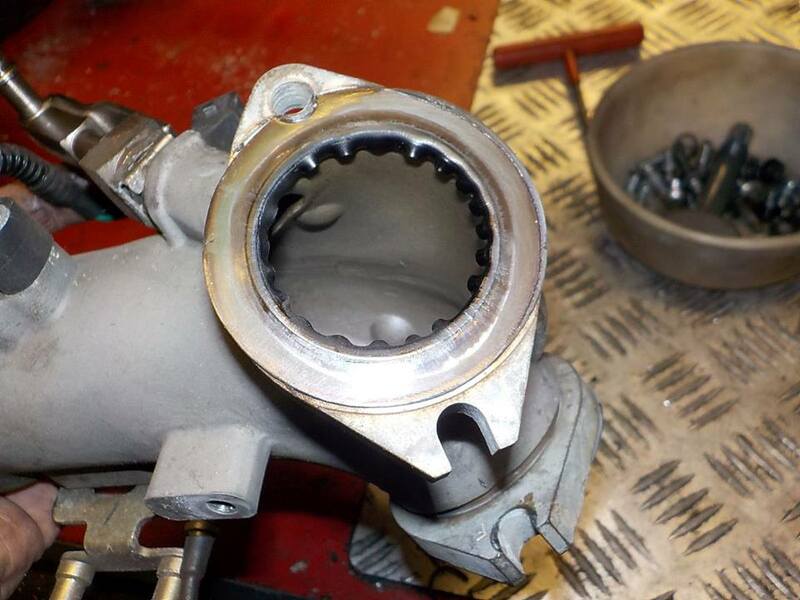 determin the backfire and plopping when breaking.. intake seal test, did give some indication so making ready for engine rotation — bij Twin Motorcycles Buell Support forever. 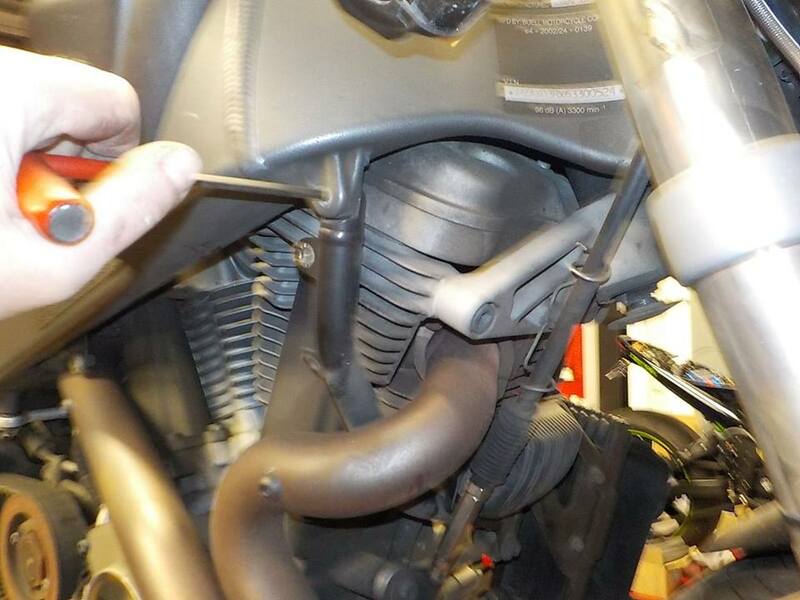 engine supported and front loose — bij Twin Motorcycles Buell Support forever. 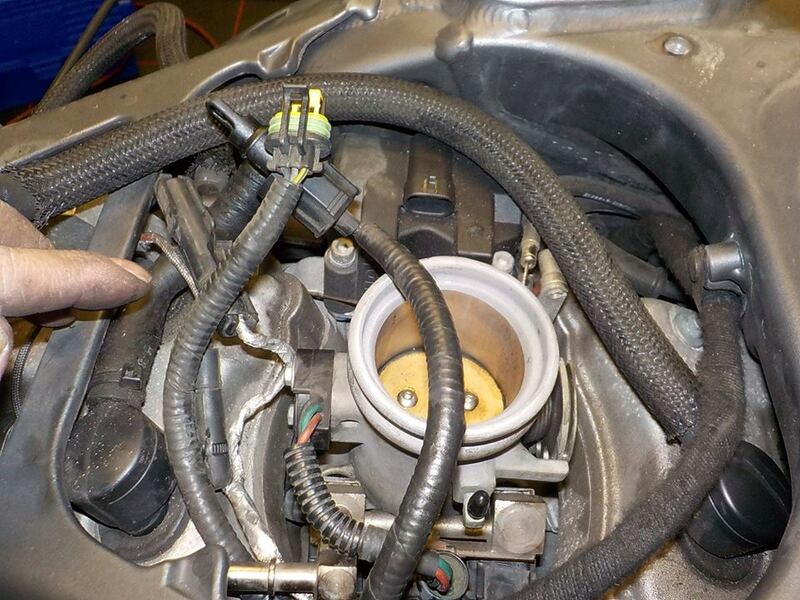 engine rotated down to have easy acces to the intake manifold — bij Twin Motorcycles Buell Support forever. 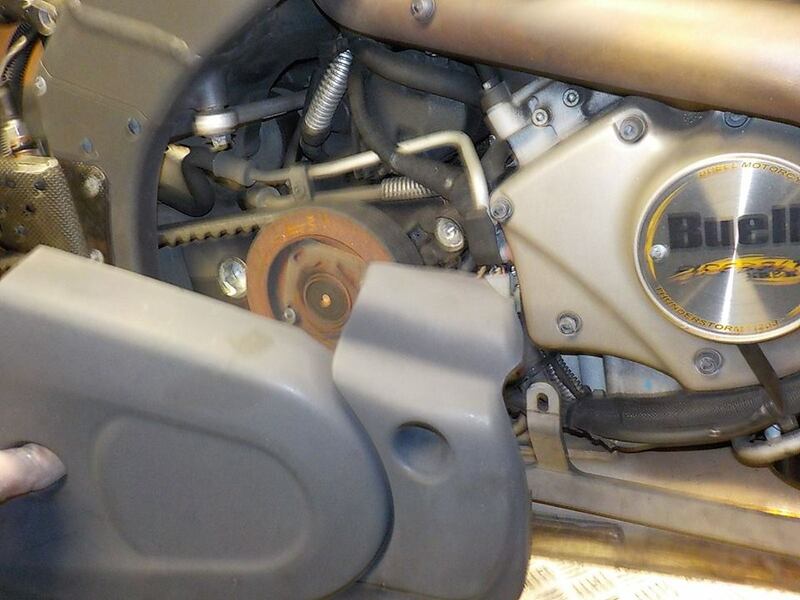 look nasty.. these where the ticker blue seals.. looking at the edge rolled over.. i will try with normal ones — bij Twin Motorcycles Buell Support forever. 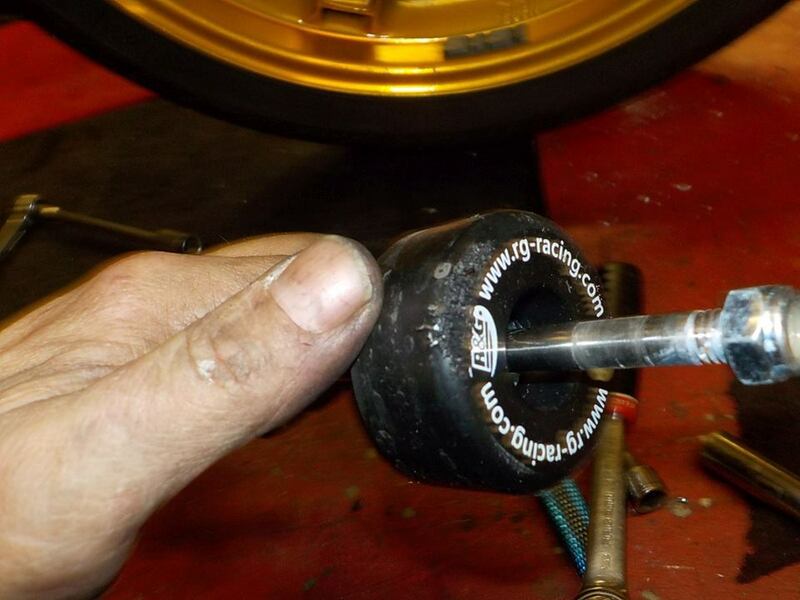 while we are here.. new plugs — bij Twin Motorcycles Buell Support forever. 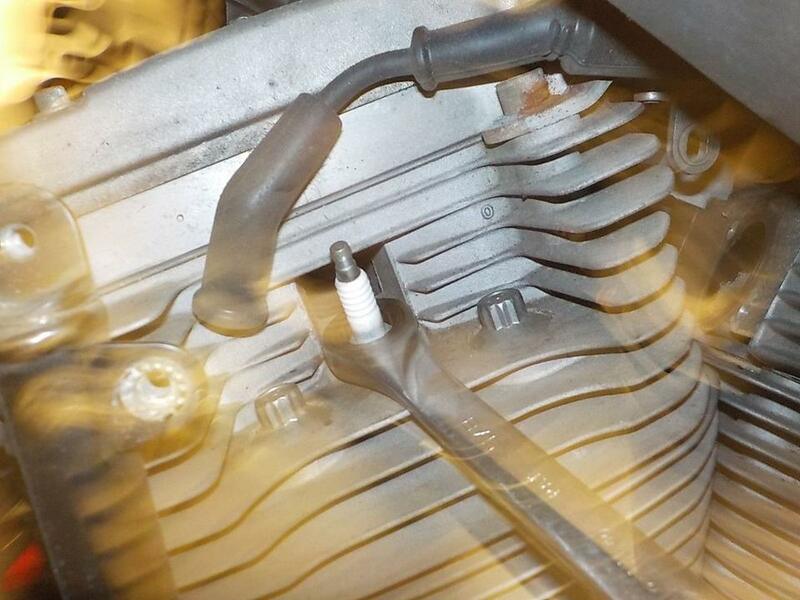 yep...could use some .. short trips , not getting hot ?— bij Twin Motorcycles Buell Support forever. 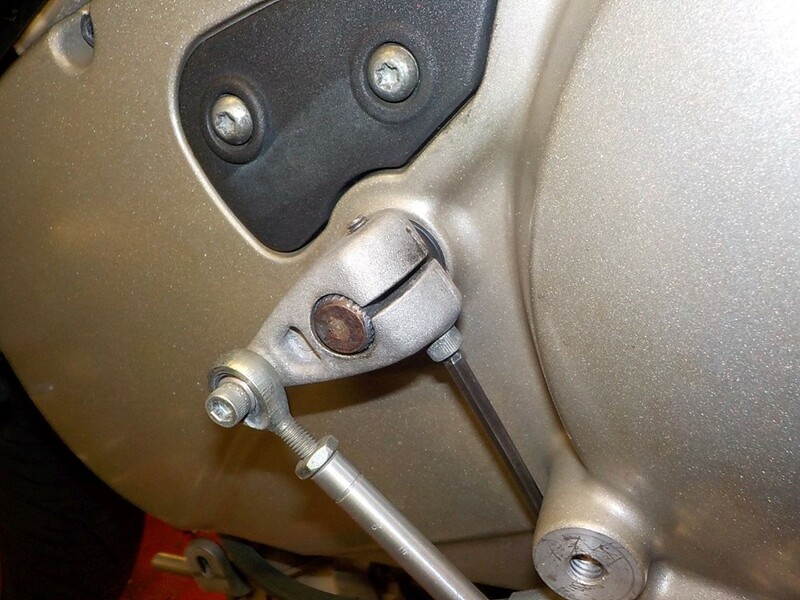 gap set and new ones in — bij Twin Motorcycles Buell Support forever. 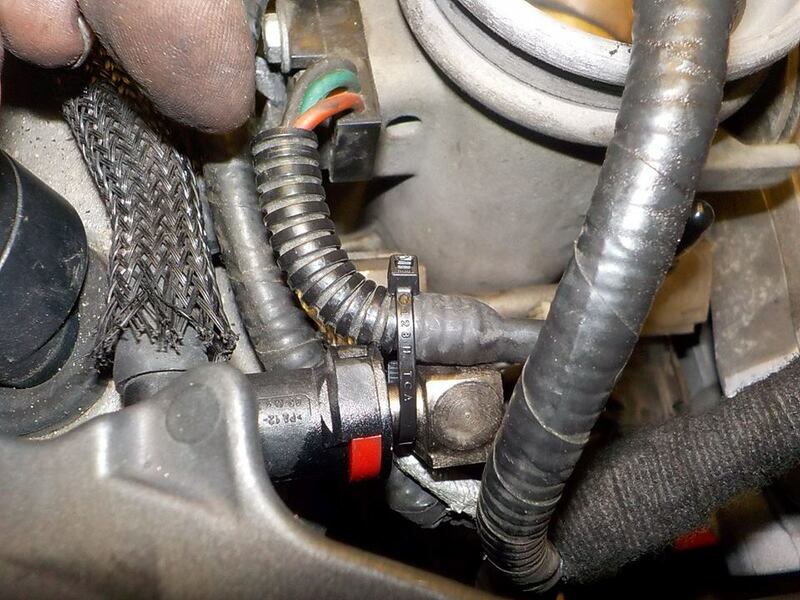 intake manifold on — bij Twin Motorcycles Buell Support forever. 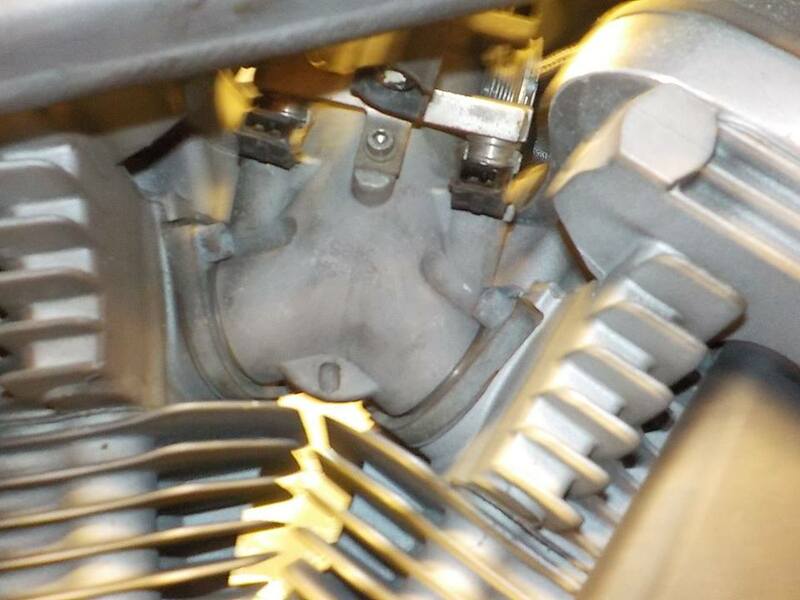 and engine back up — bij Twin Motorcycles Buell Support forever. 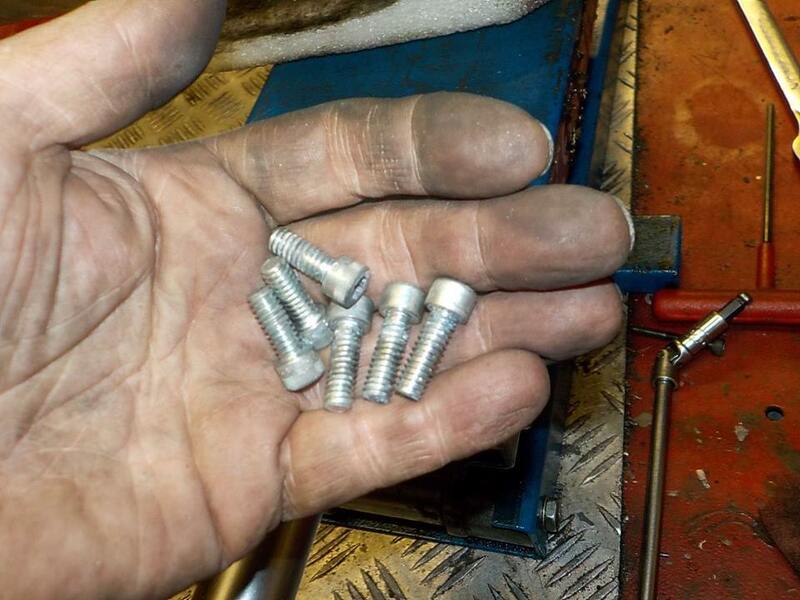 after 10 years... can find the screws blind folded ;-)long ones peg bracket , short ones w-brace — bij Twin Motorcycles Buell Support forever. 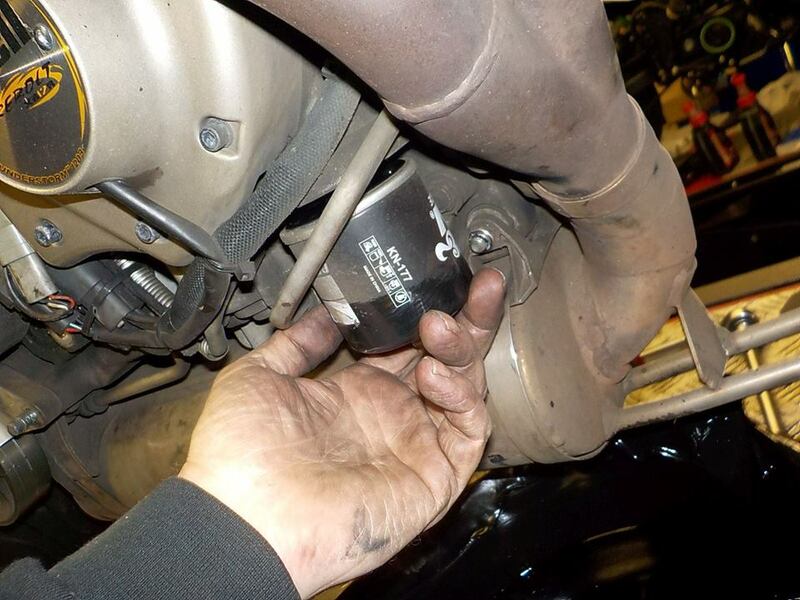 new oil filter — bij Twin Motorcycles Buell Support forever. 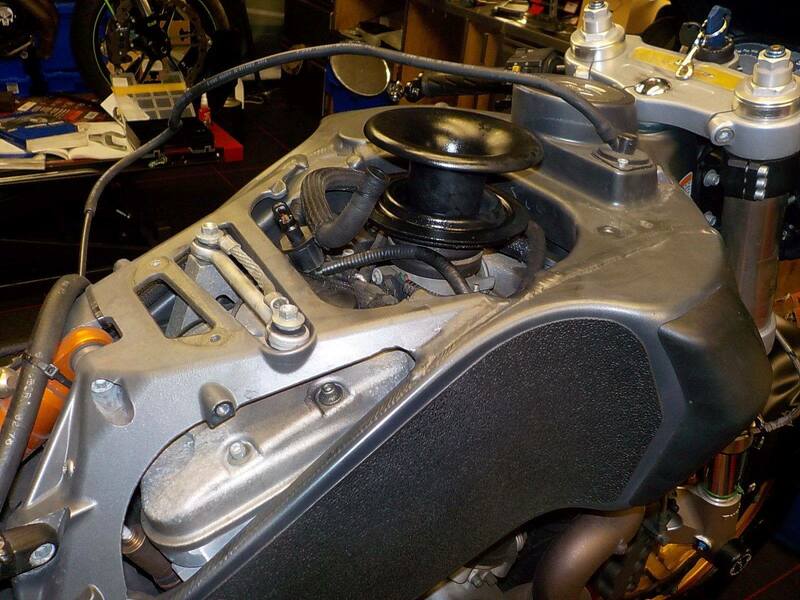 and covers back on — bij Twin Motorcycles Buell Support forever. 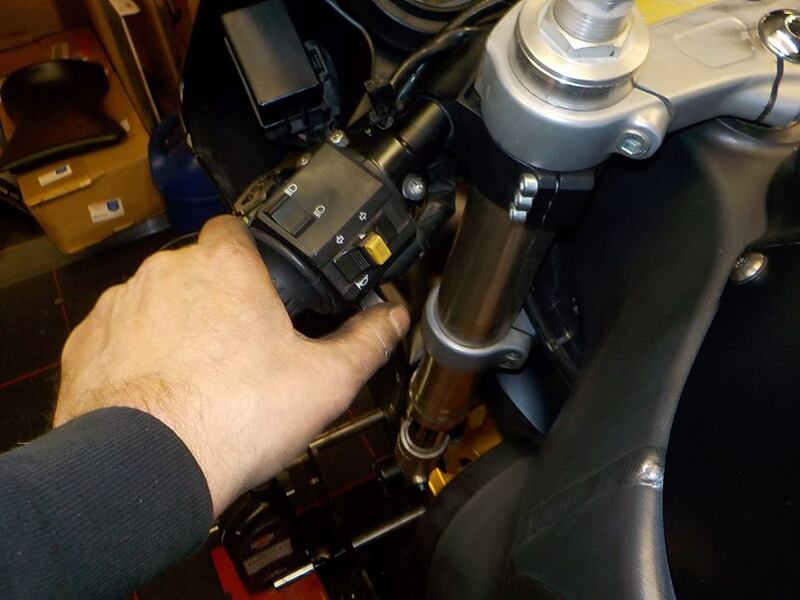 checking the primairy chain , way loose one side , tight on the other.. hard life — bij Twin Motorcycles Buell Support forever. 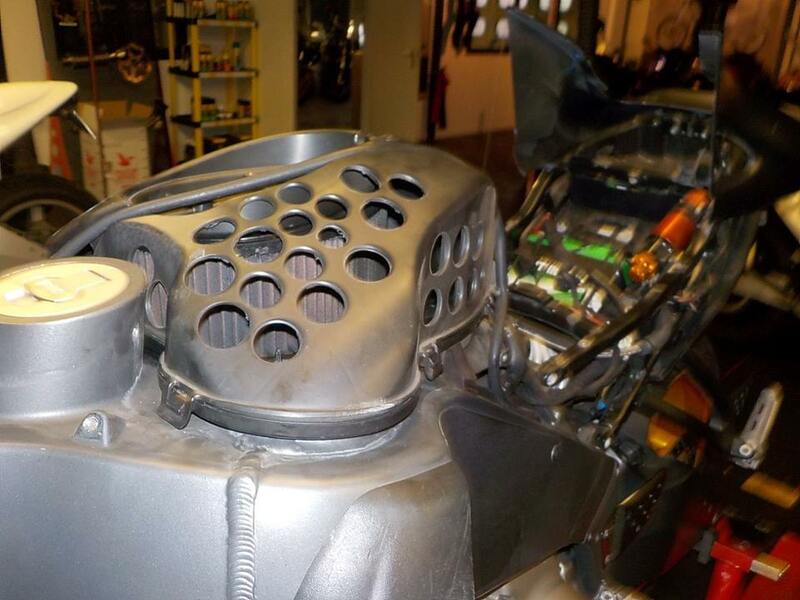 shifter is in race mode... gonna be fun riding ;-) — bij Twin Motorcycles Buell Support forever. 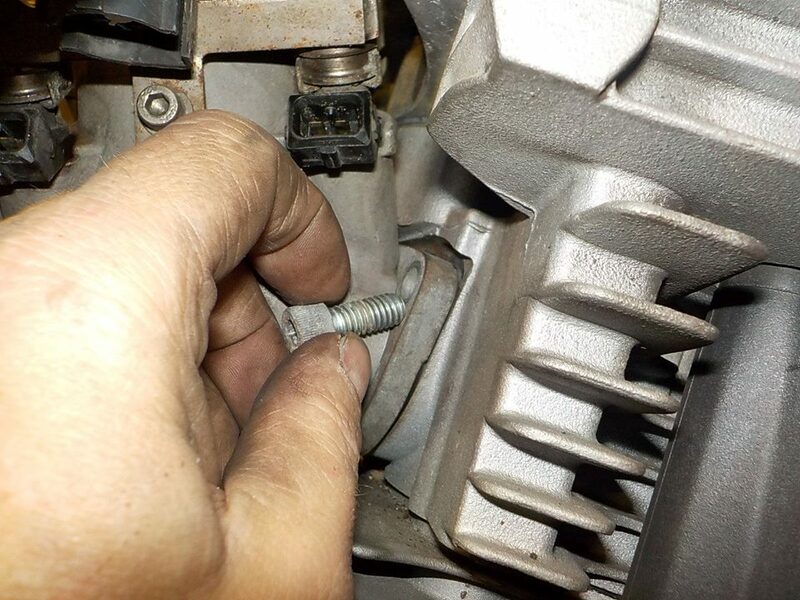 but check the bolts... as these where loose , the splines will vibrate and to much play , vibrate even more and the shifter will slip over the axle — bij Twin Motorcycles Buell Support forever. 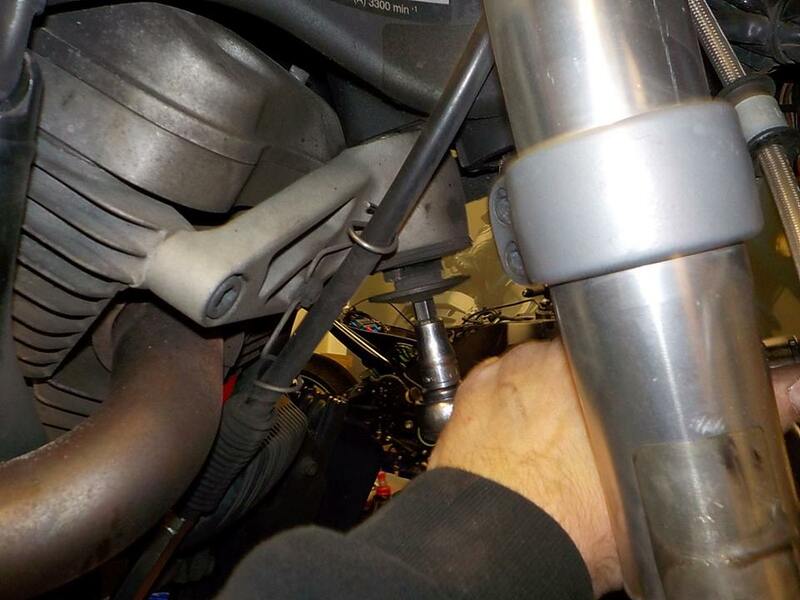 connecting top side — bij Twin Motorcycles Buell Support forever. 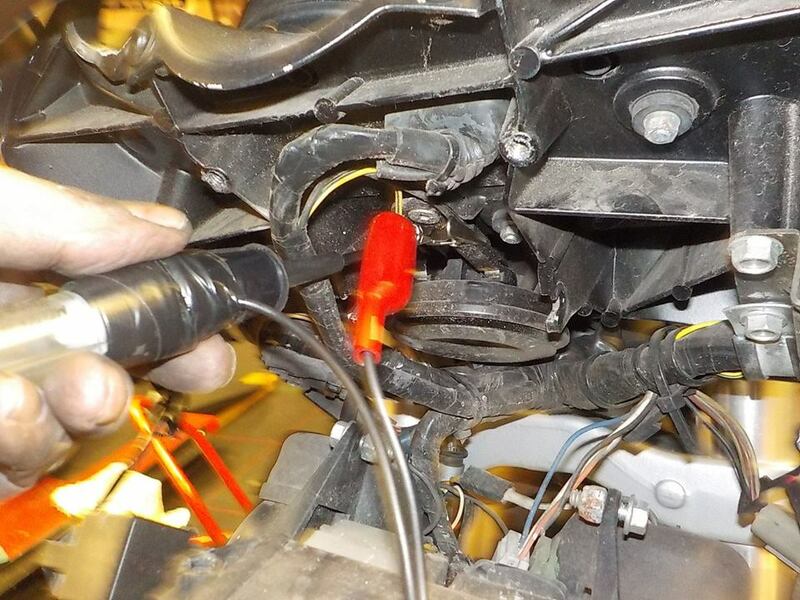 some ziptie to strap the tps wire to the fuel rail , so the connections will not vibrate to much — bij Twin Motorcycles Buell Support forever. 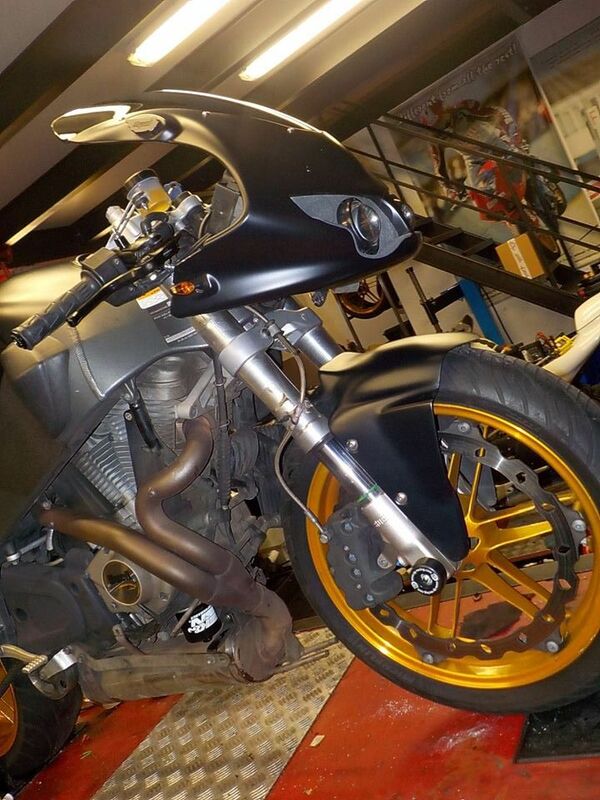 stack back on — bij Twin Motorcycles Buell Support forever. 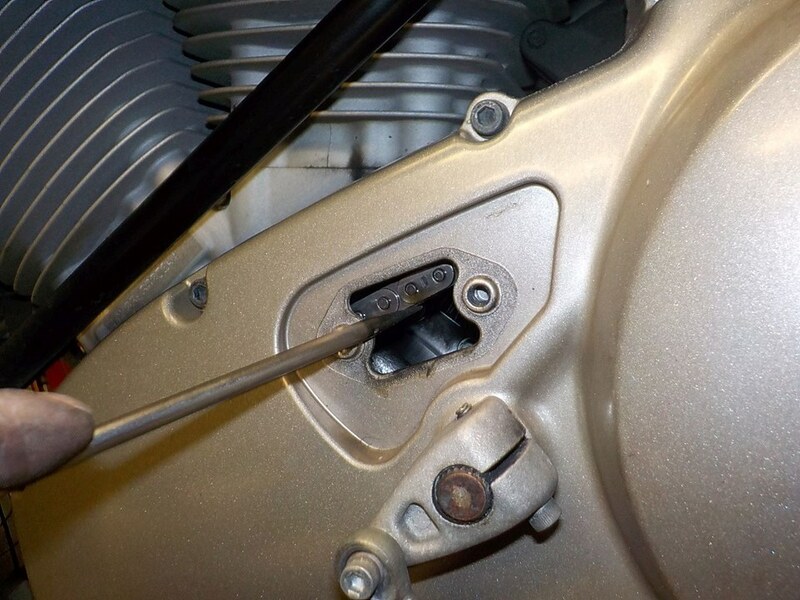 and cleaned base plate back on — bij Twin Motorcycles Buell Support forever. 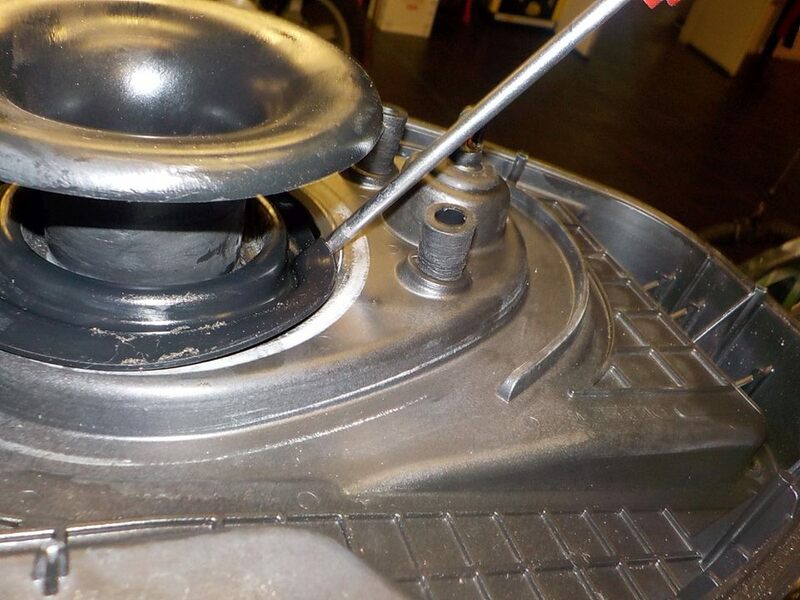 filter and drilled cover back on — bij Twin Motorcycles Buell Support forever. 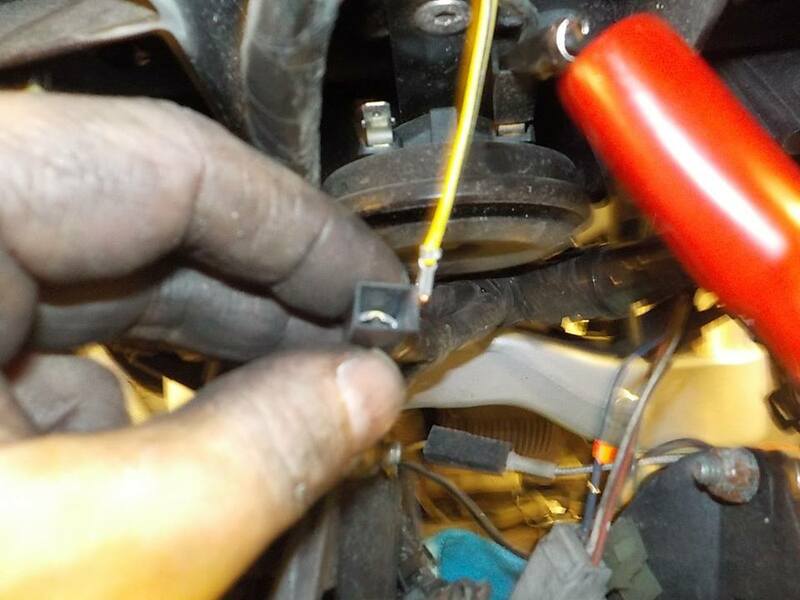 rear indictor did not work.. these kellerman you can change the light bulb .. — bij Twin Motorcycles Buell Support forever. 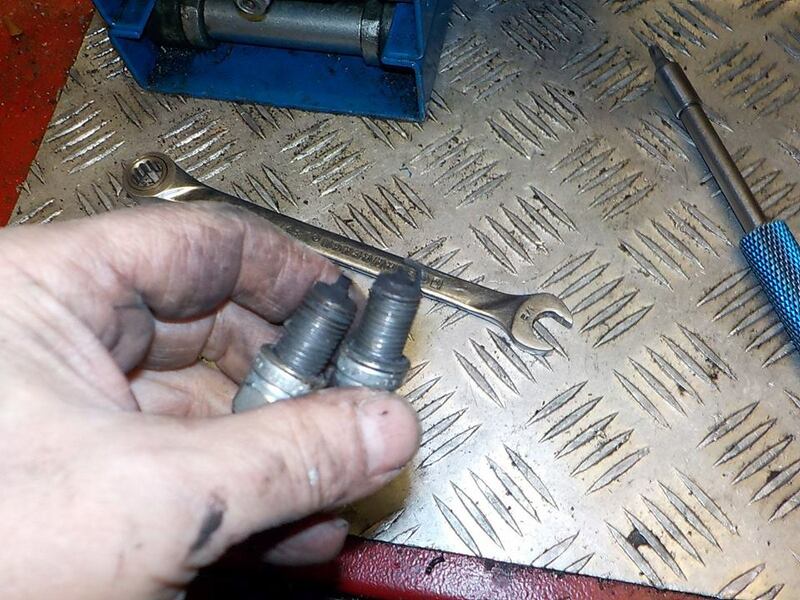 working again — bij Twin Motorcycles Buell Support forever. 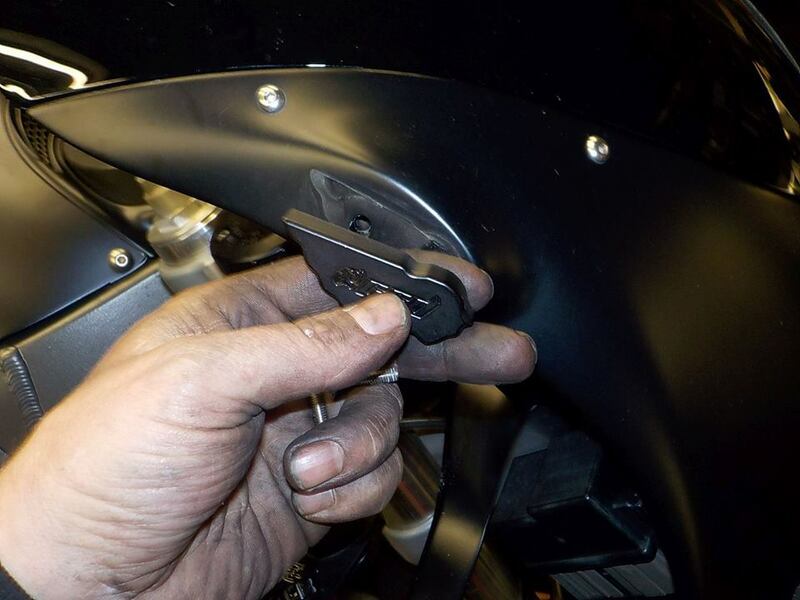 bleeding the front as a other master need to be mounted — bij Twin Motorcycles Buell Support forever. also ex. 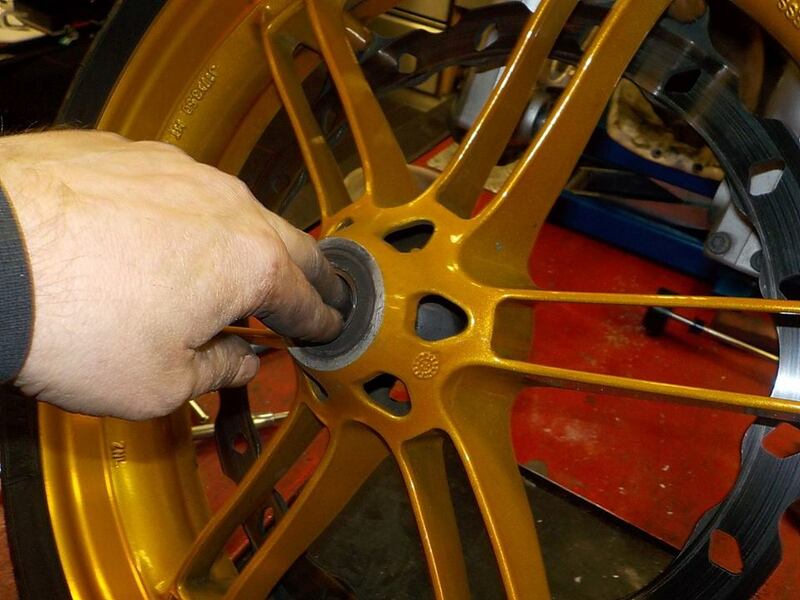 beemer stuf ( off the new racer from this customer ) — bij Twin Motorcycles Buell Support forever. 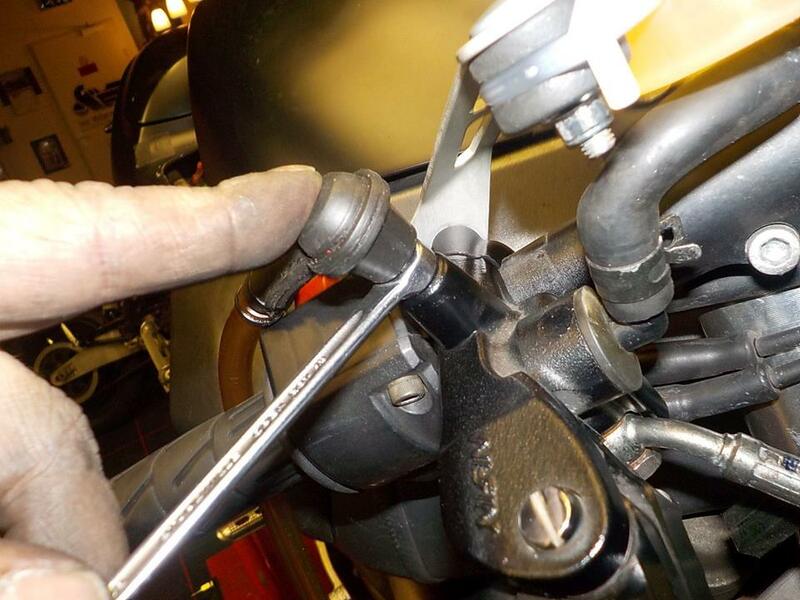 brake line on — bij Twin Motorcycles Buell Support forever. 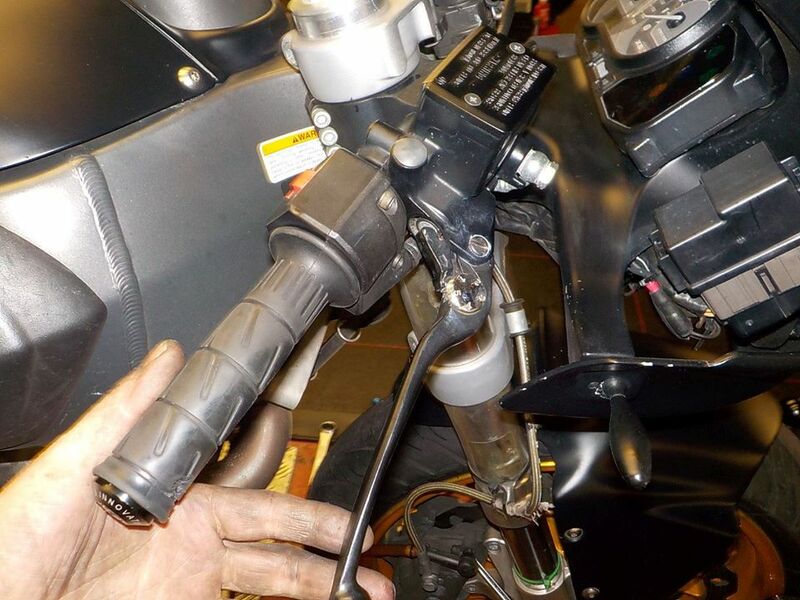 good thing steering limiters are on this bike other wise this would not work.. now no issues toughing — bij Twin Motorcycles Buell Support forever. 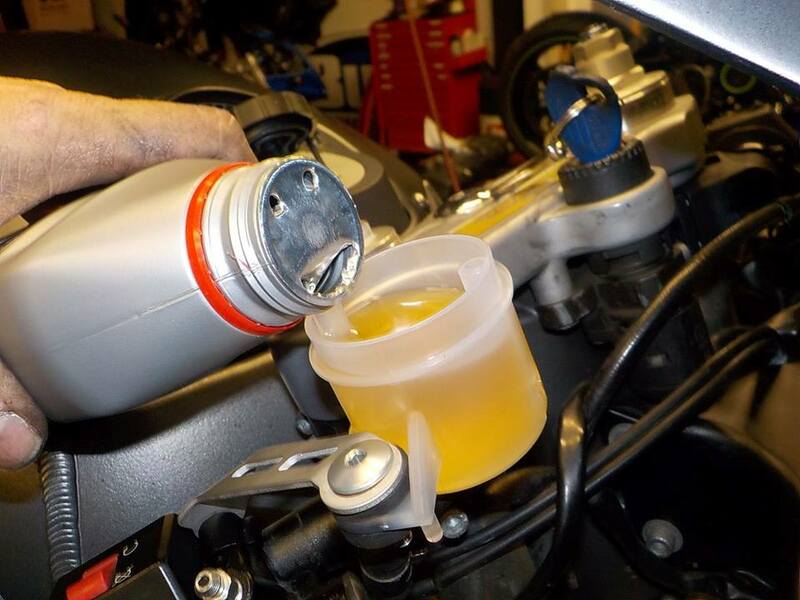 so bleeding the front — bij Twin Motorcycles Buell Support forever. i love top bleeders.. you can get the brake very hard bleeding theme top and bottom — bij Twin Motorcycles Buell Support forever. 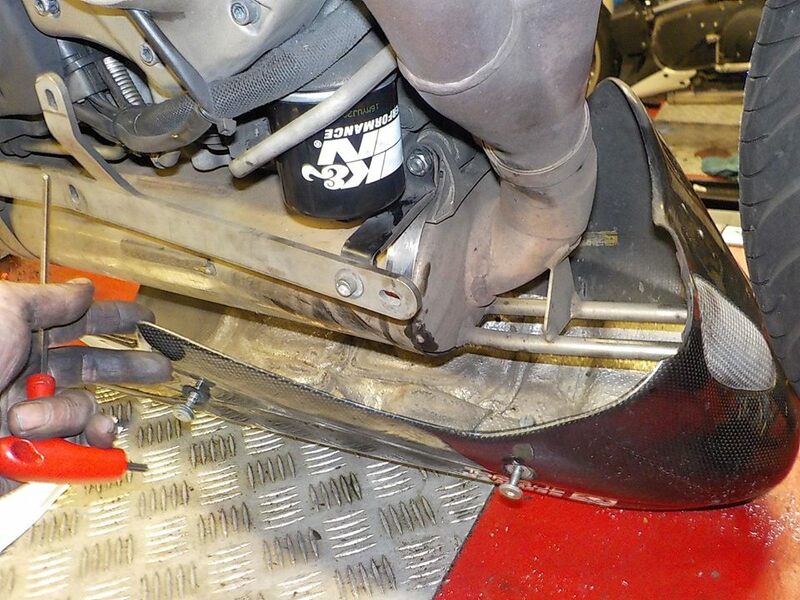 front end check — bij Twin Motorcycles Buell Support forever. 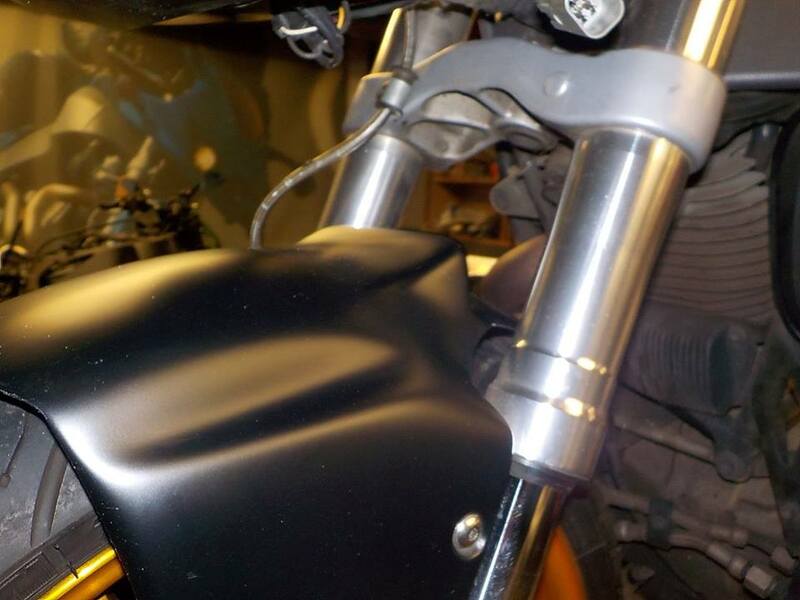 1125 front fender was mounted — bij Twin Motorcycles Buell Support forever. 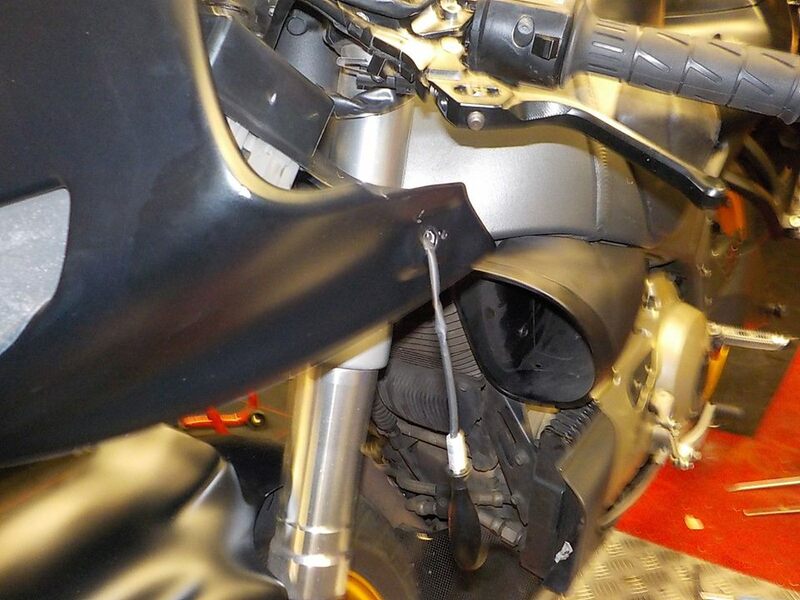 yep protection works — bij Twin Motorcycles Buell Support forever. 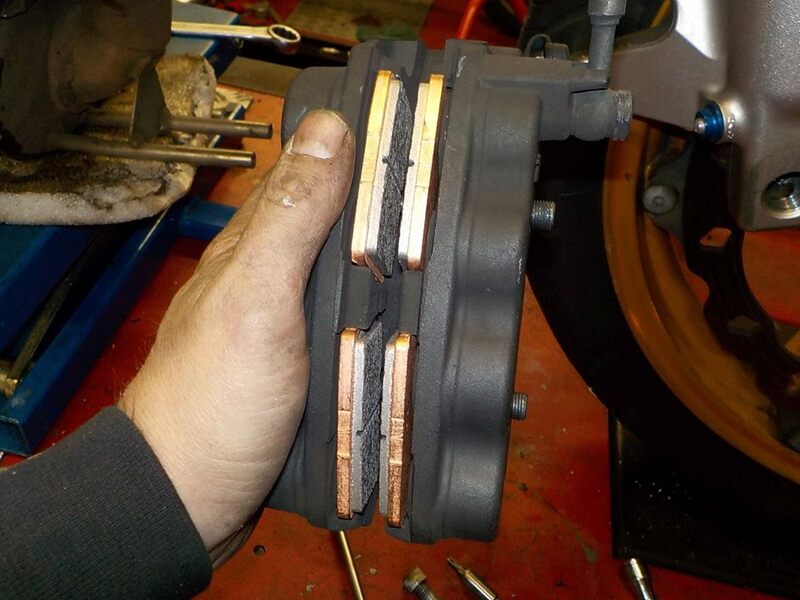 front bearings are about shot.. will replace these — bij Twin Motorcycles Buell Support forever. super heavy race pads where in.. i will mount some more street friendly ones — bij Twin Motorcycles Buell Support forever. 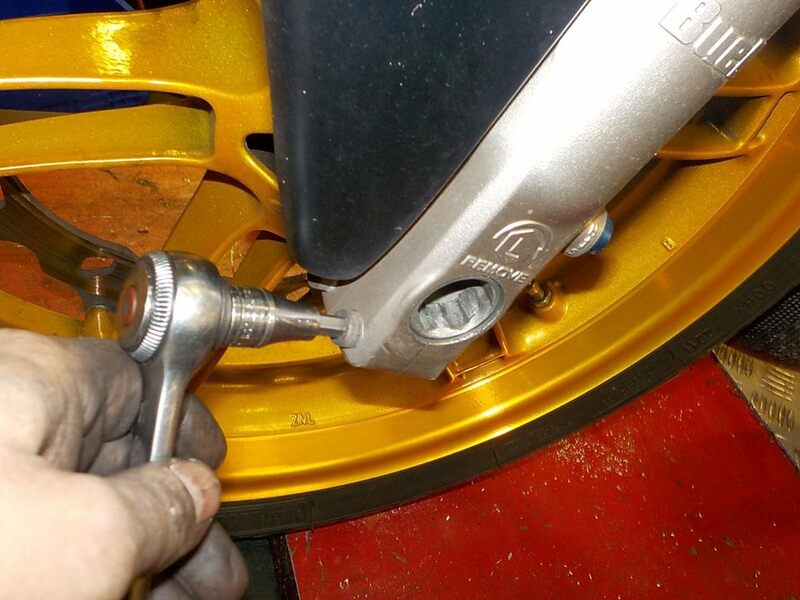 front wheel back on, tighten the caliper bolts to 50 NM — bij Twin Motorcycles Buell Support forever. 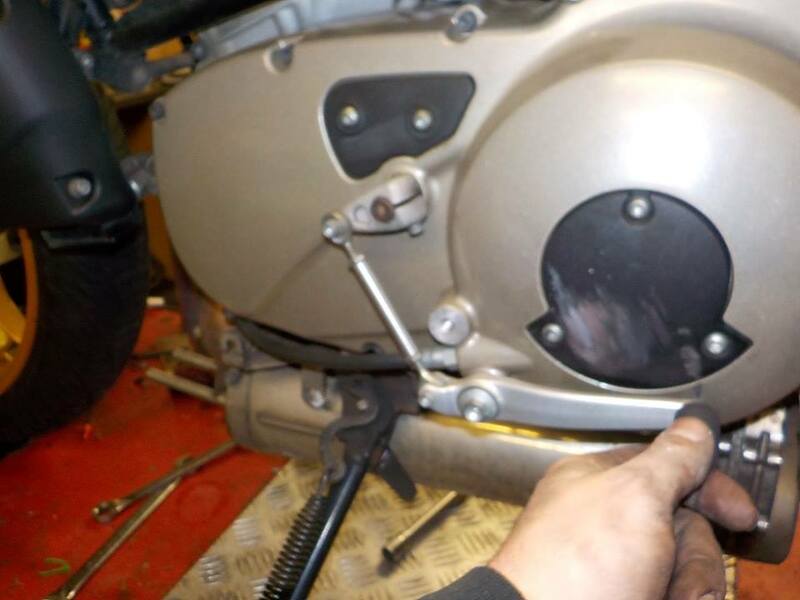 and belly pan back on — bij Twin Motorcycles Buell Support forever. 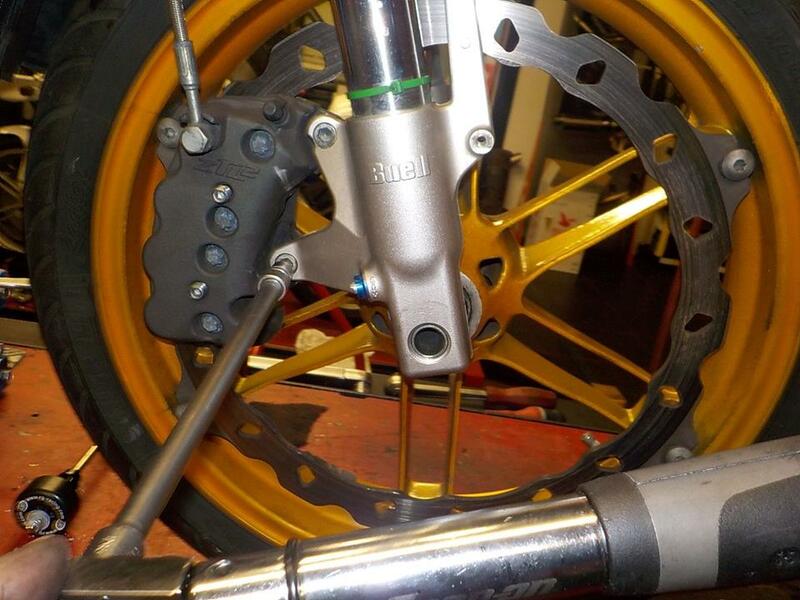 setting the front forks on the axle — bij Twin Motorcycles Buell Support forever. 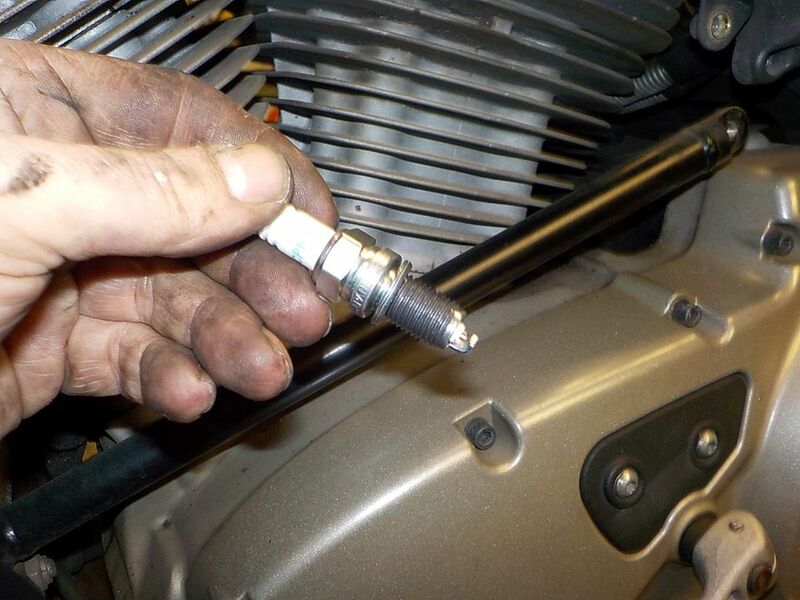 and tigthen the pinch bolts — bij Twin Motorcycles Buell Support forever. 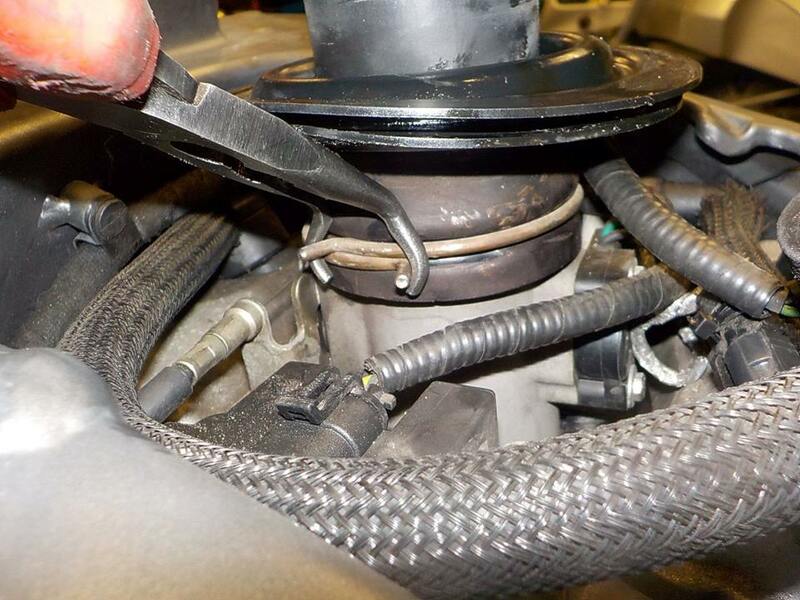 horn button douse not work ? not shure there is even one mounted ? as this bike was a ex.racer .. — bij Twin Motorcycles Buell Support forever. 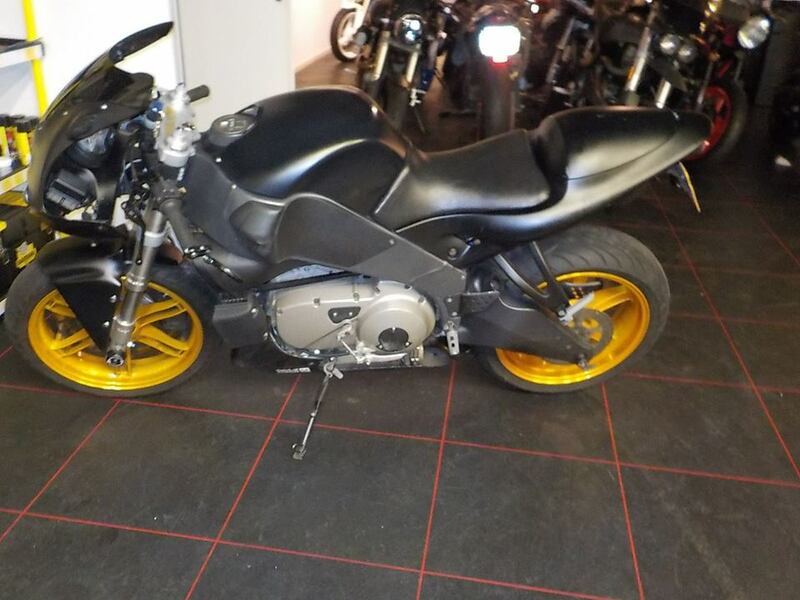 will have a look and remove the front fairing... mirror block off plates.. that brings back memories 25e aniversery Road Amerika, — bij Twin Motorcycles Buell Support forever. 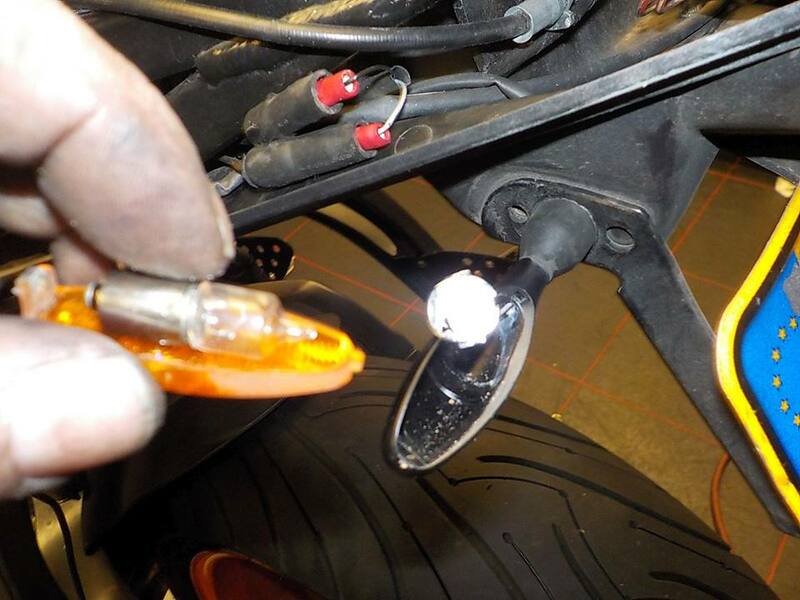 leaving the indicator wires long, helps to remove the fairing — bij Twin Motorcycles Buell Support forever. 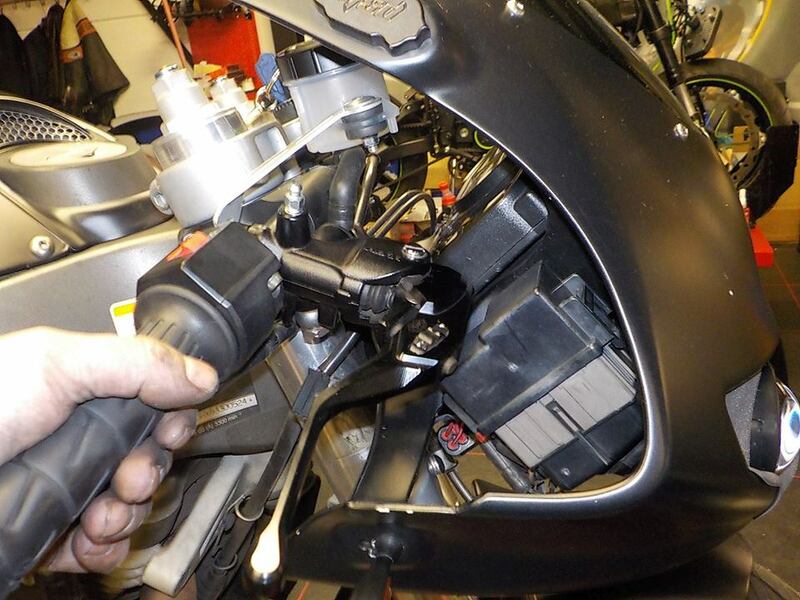 checking we have juice — bij Twin Motorcycles Buell Support forever. 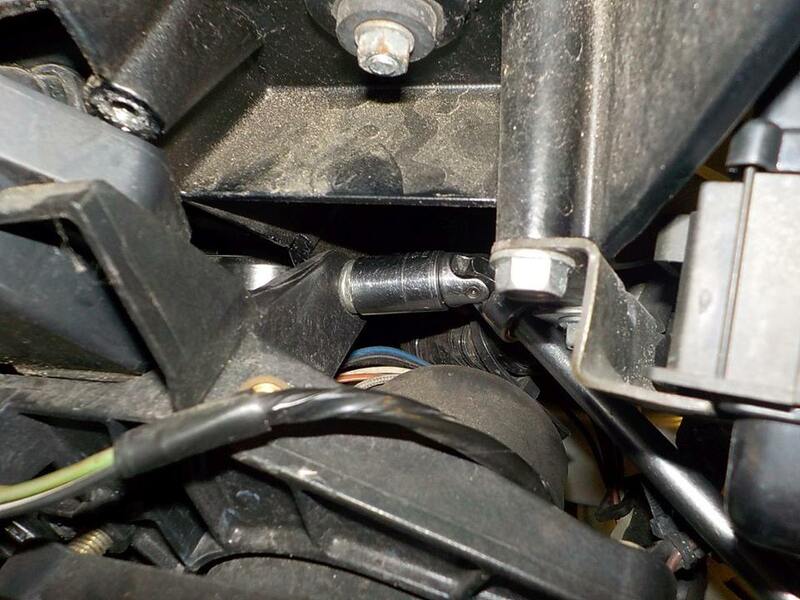 hee... that is a first... terminal broke , ok easy fix.. but strange — bij Twin Motorcycles Buell Support forever. 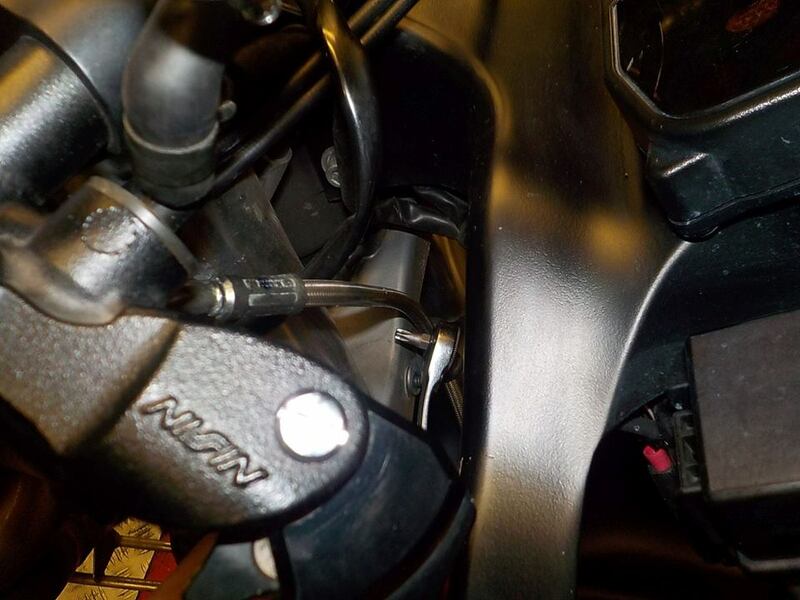 headlight unit back on sliding it in place and tighen the reasr nuts — bij Twin Motorcycles Buell Support forever. 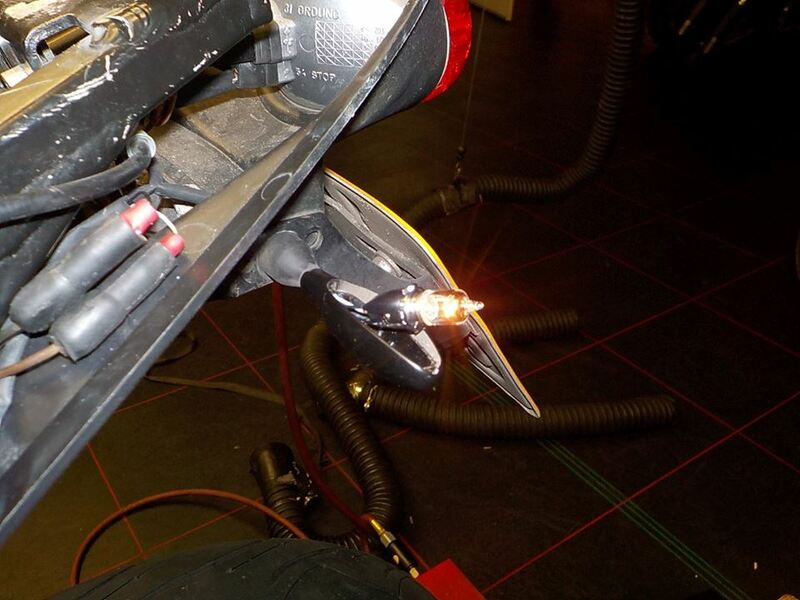 ready for the painter.. as this tail section is getting a rework — bij Twin Motorcycles Buell Support forever.